A Potong Pasir resident speaks in defence of her home and hearth, and about the Town Council Management Report. I cannot speak for other residents, but here’s a personal story. Until his death, my father was the sole manager of the family’s finances which included paying Town Council charges every month. When he passed away suddenly in November 2008, his bank account was frozen by the bank and the GIRO payments to the Town Council, among others, were rejected. The sticky situation lasted for a few months until we successfully waded through the bureaucracy and got our finances in order. In that time, we received a firm letter or two from the Town Council reminding us about the arrears, but we were not harassed for it, and for that, I am grateful. 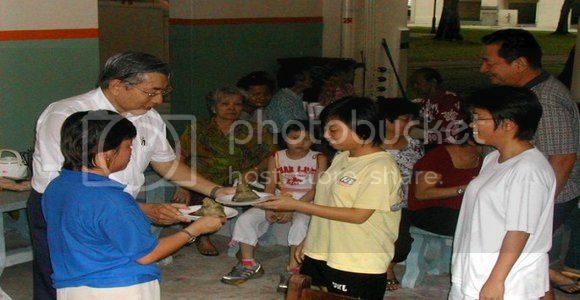 What I am trying to say is that in Potong Pasir it is not always about the money, or the upgrading, or the $1 abalone porridge that gets waved in our faces every time an election draws near. What the voting majority appreciates, as it has been proven time and time again, is our MP’s sincerity and determination to make things work despite the lack of government funding for more extensive maintenance and upgrading projects.